When you invest in technology and you are not afraid to experience new paths, you can discover new texture and develop fresh and tasty culinary ideas. 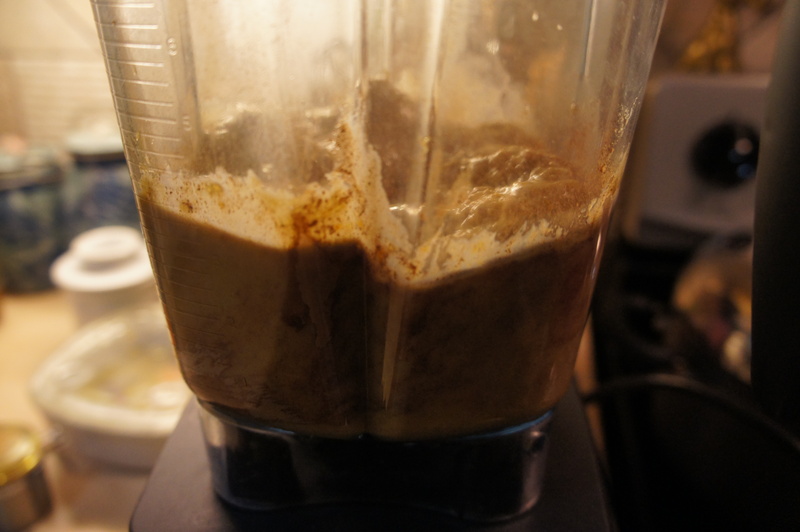 This is the case with my Vitamix. I love pumpkin pie but I know that it contains too much calories. Sadly, it is not possible to enjoy this sweet treat every day. 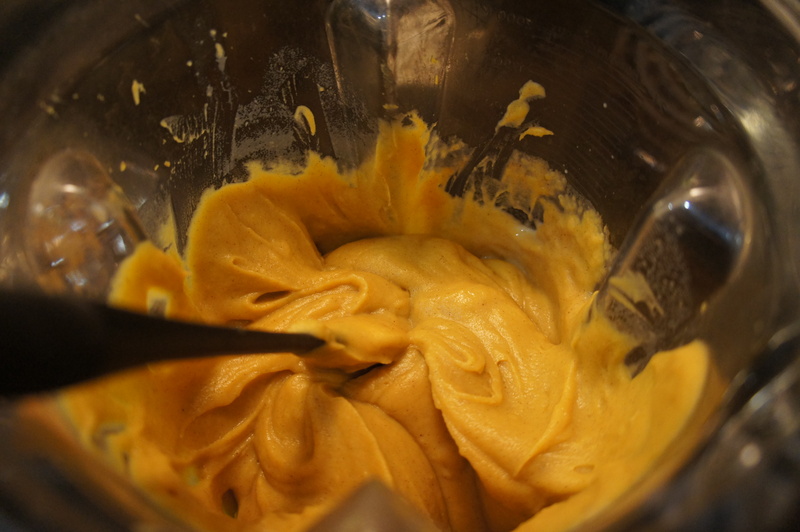 For Thanksgiving, I have made the traditional pumpkin pie and for the first time, I have used my Vitamix to prepare the filling. 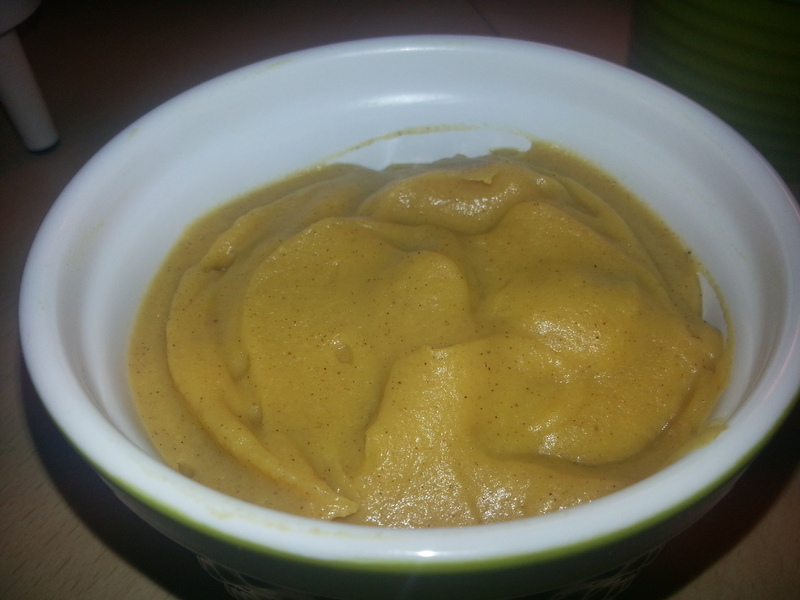 It was so creamy that I started to plan new recipes (savory and sweet ones) using as a base the pumpkin puree that I was able to obtain using my blender. Among the different new recipes that I had time to develop over the past 4 months, pumpkin pie pudding is one of my favorites. Easy to do and so tasty! The taste of the pumpkin pie without the calories from the crust… a real indulgence! With the Halloween festivity, pumpkins’ carving is fanatical and these gourds are so charming in their role of Jack-o-lantern. With Thanksgiving, we can enjoy a classic – pumpkin pies, but this is only one time the year. 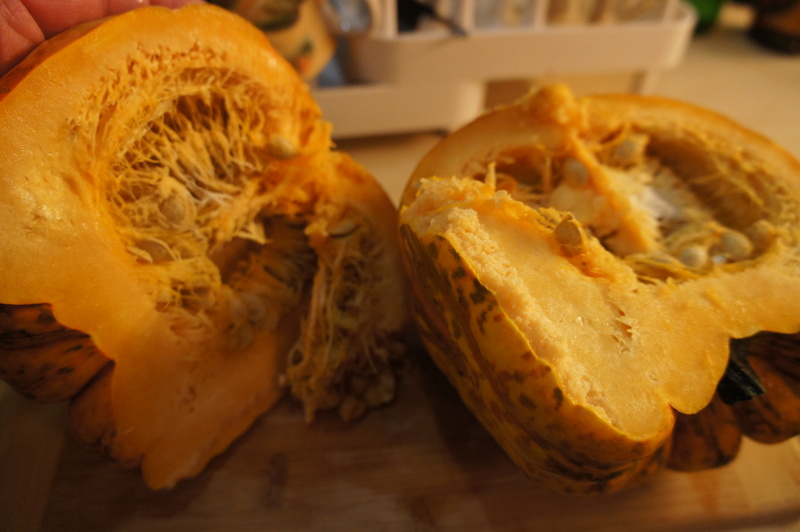 Pumpkins are more than these two memorable events, and we forget that they are actually one of the most nutritious fruits out there. In the context of a diversified diet, it is important to enjoy pumpkins on a more regular basis. Why? 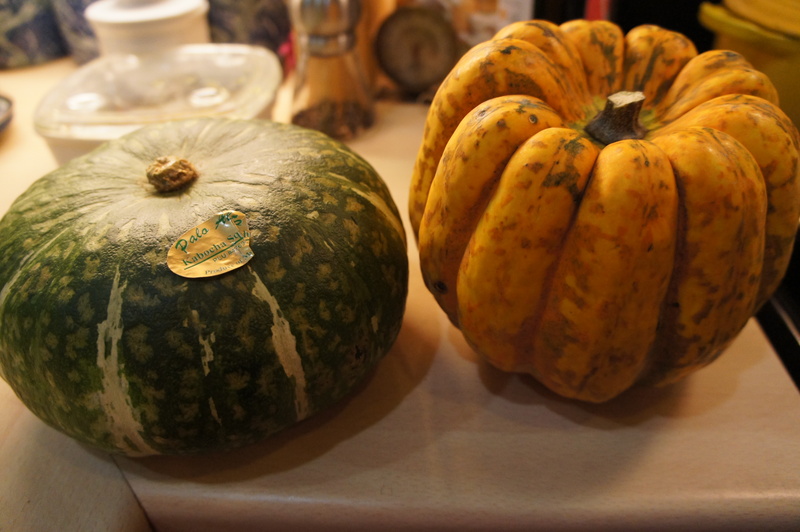 Pumpkin soup, roasted pumpkin, risotto, pies or cookies… The options are endless, and our souvenirs eternally sweet, giving us watering mouth. 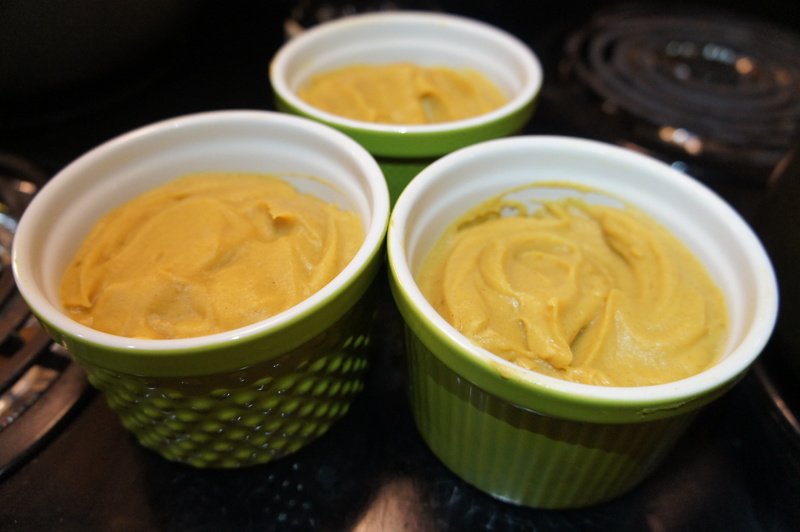 This pumpkin pie pudding is light in calories and so easy to make. 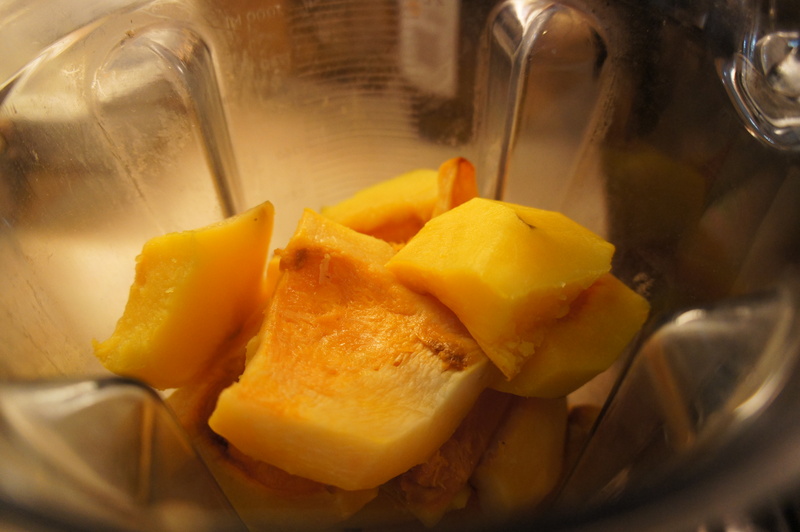 I think it is time to cook this simple recipe and enjoy this super food without any restriction. This recipe is for four servings. 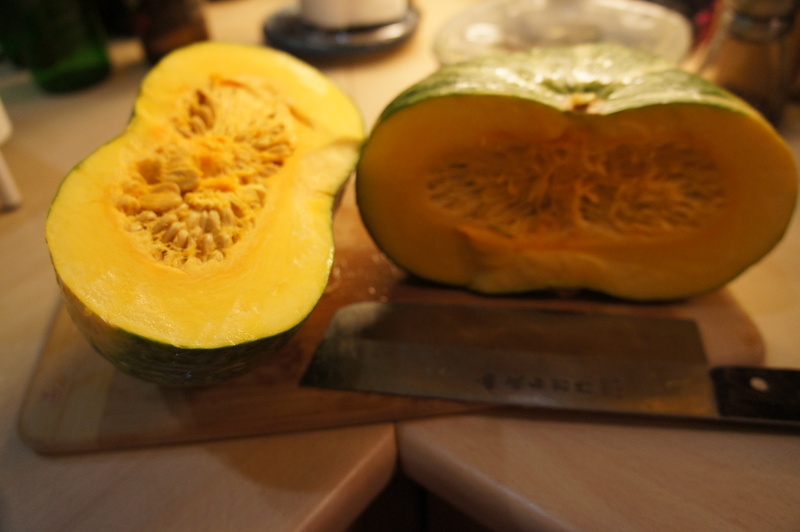 I try to choose small pumpkins because they are normally a bit sweeter. 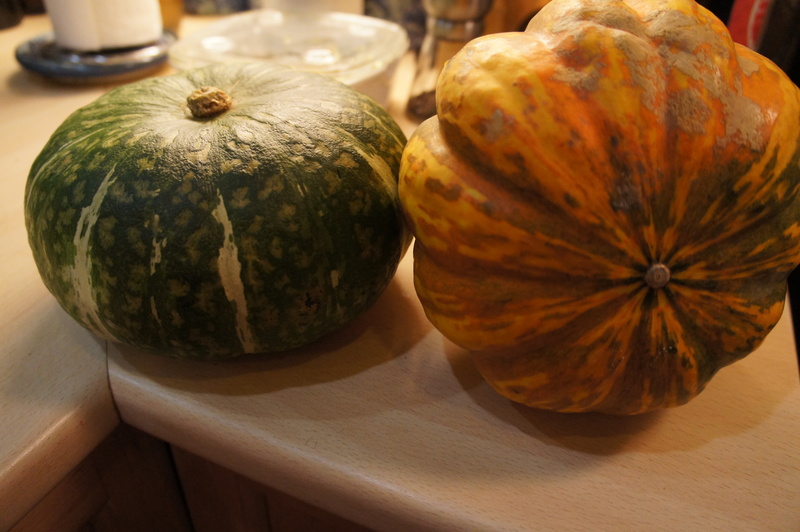 I also try to use a combination of different pumpkins like pie pumpkin, sugar pie, red kuri, kabocha, delicata, carnival, or acorn (to name some of them). This really depends of the season (autumn vs winter or early spring), and more importantly, of what is available at my local organic supermarket. 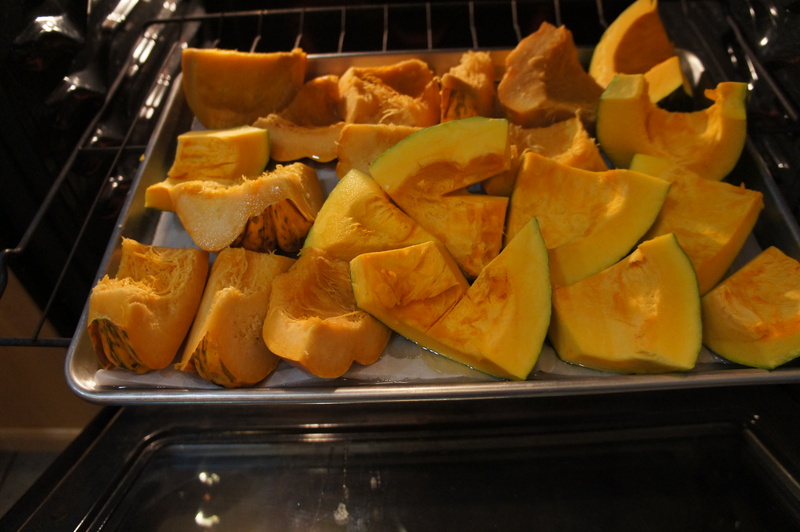 Depending of the pumpkin’s moisture after being roasted, you may need to add the cold water. Store in refrigerator in a glass container. It can be kept up to 5 days in refrigerator. Serve chilled … it is the best way to enjoy it. 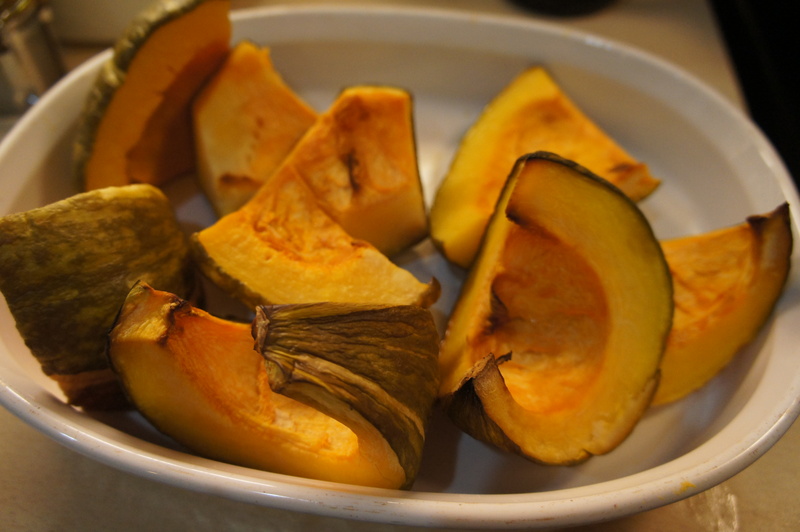 A few words of advice: Use either homemade pumpkin puree, or canned organic pumpkin puree to be sure to have a nice bright orange color, avoid to use the regular canned pumpkin puree because the color sometimes can be muddy brown. We want to have a yummy “good looking” pudding. Occasionally, I also add 1/2 teaspoon of chili powder to give a spicy kick to my pumpkin pie pudding. It is quite delicious.